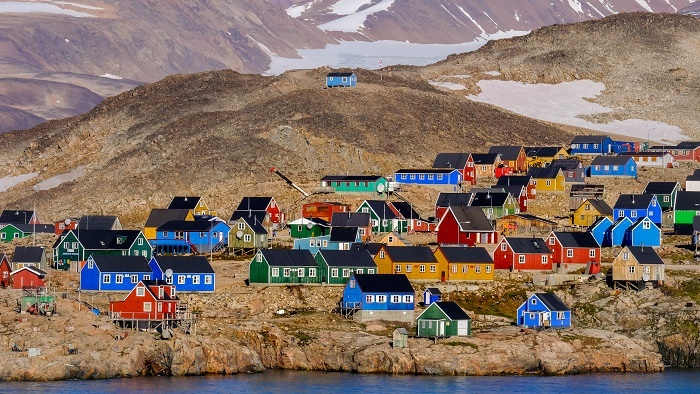 Ittoqqortoormiit, also known as Illoqqortoormiut in the West Greenlandic language, and Scoresbysund in Danish, is a small but very picturesque settlement that is part of the Sermersooq municipality located in the eastern part of the autonomous constituent country within the Kingdom of Denmark, Greenland. 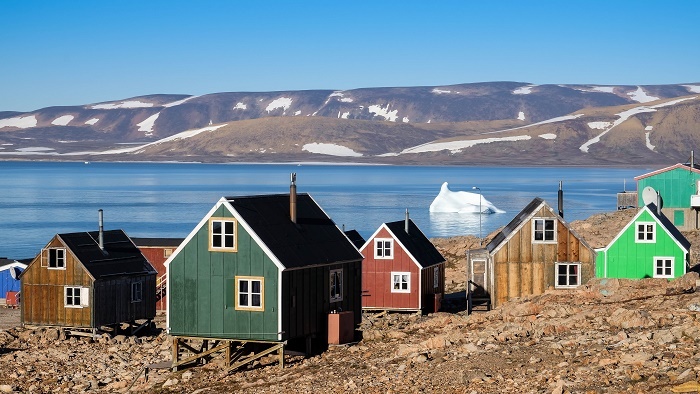 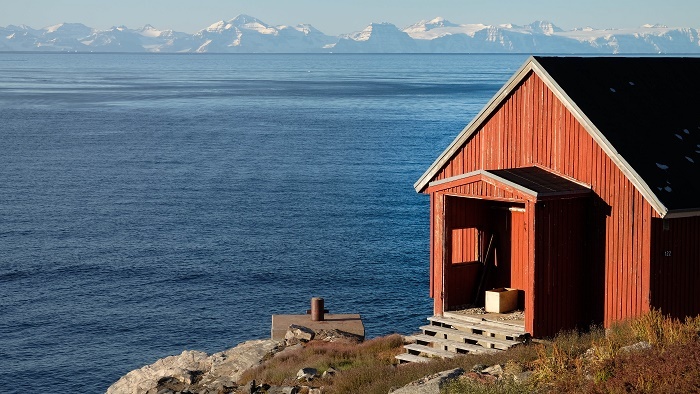 This very remote settlement is a perfect combination of town and wilderness, as there is the Kangertittivaq fjord which attracts plenty of narwhals, walruses, seals and polar bears. 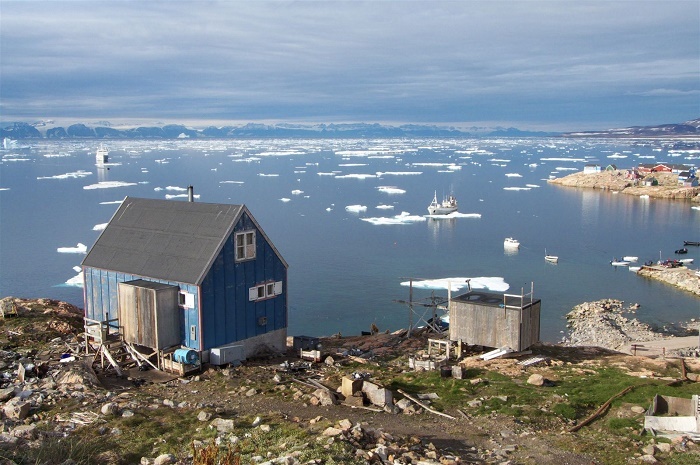 At the beginning Ittoqqortoormiit was known as Scoresbysund, a name given from the Arctic explorer and whaler William Scoresby, who was the first to map the area in 1822, however, with the greater autonomy given to Greenland the settlement now is known by its original Inuit name, which means Big-House Dwellers. 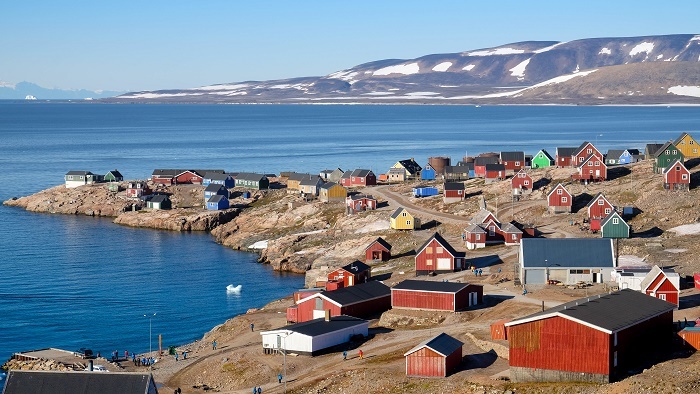 Founded in 1925 by the Danish polar explorer and author Ejnar Mikkelsen, there were only 80 Inuit settlers, whereas nowadays that number has risen and there are more than 450 souls living there. 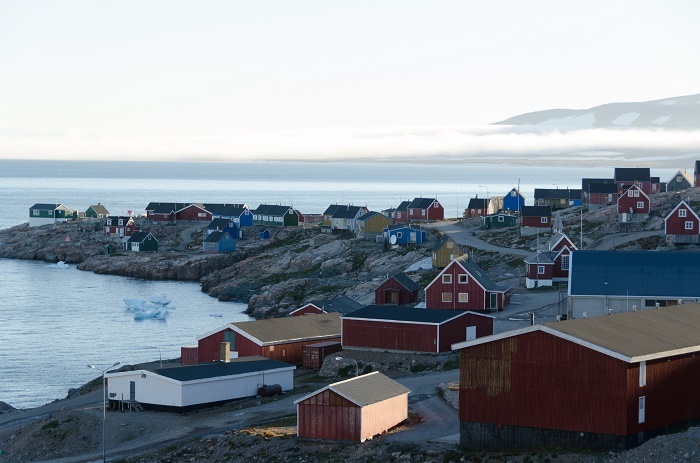 The growing of the settlement was encouraged by the colonial power of Denmark, as the colonization was intended to improve declining living conditions in Tasiilaq, from where the settlers were more or less voluntarily transferred, which turned out to be very good as they prospered on the good hunting conditions. 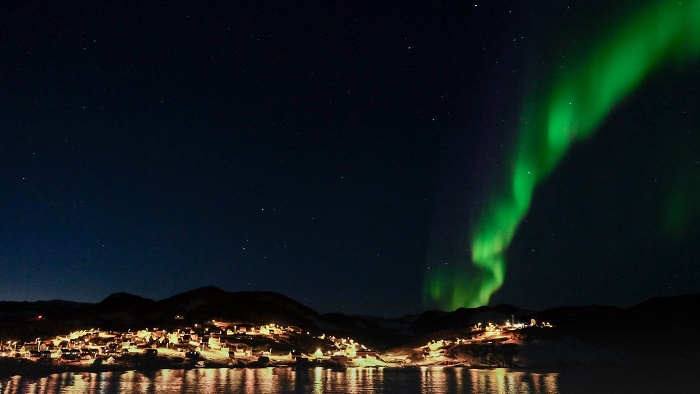 Still, dog sledding, expedition cruises and wildlife dominate the opportunities for adventure in this remote place, and it is definitely not as the other towns in Greenland. 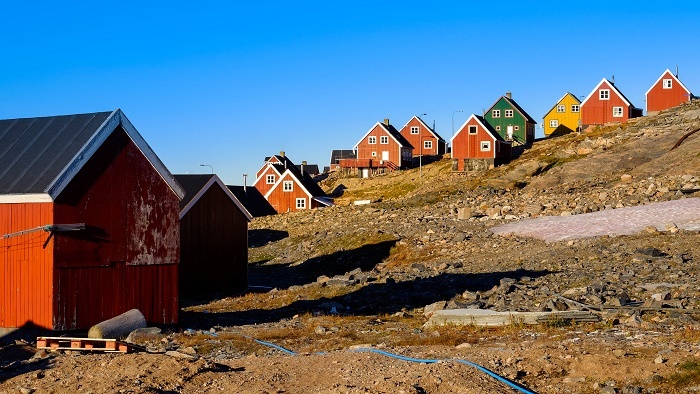 There are also great opportunities to explore the area, as the Northeast Greenland National Park is the largest one in the world in which the tallest mountain in the Arctic region, Gunnbjørn Fjeld, is located. 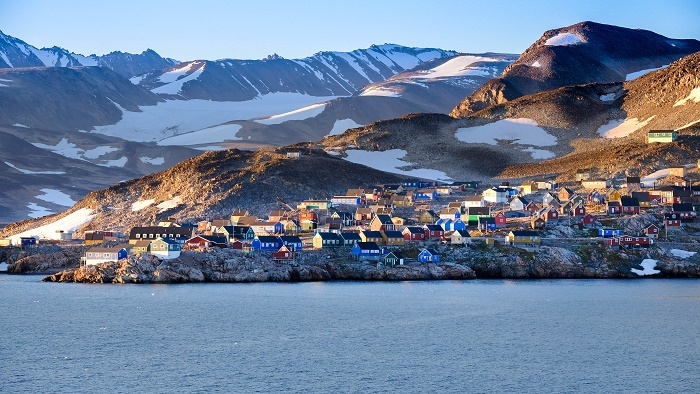 Nevertheless, the town is constructed of wooden buildings, painted in an array of bright blues, reds, yellows and greens, across a coastal bluff of pink and grey gneiss, which is some of the planet’s oldest rock. 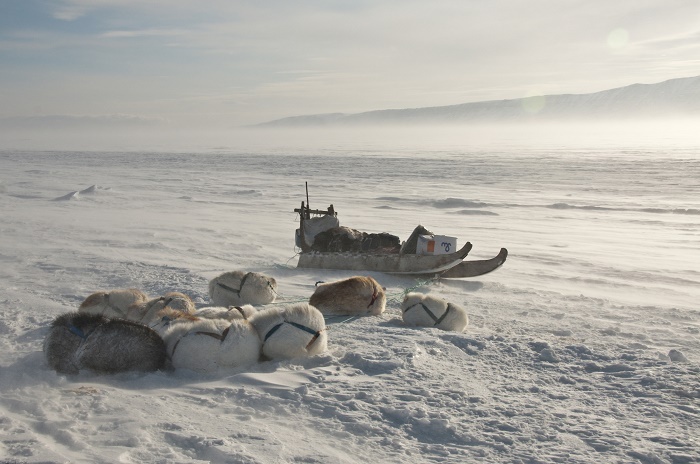 As there are not many possibilities for people to thrive in the area, many generations made a living from whale and polar bear hunting, and it remains, up to the present, a significant cultural-economical factor in the area, but in recent years, the tourism is growing and becomes a bit more important to the locals. 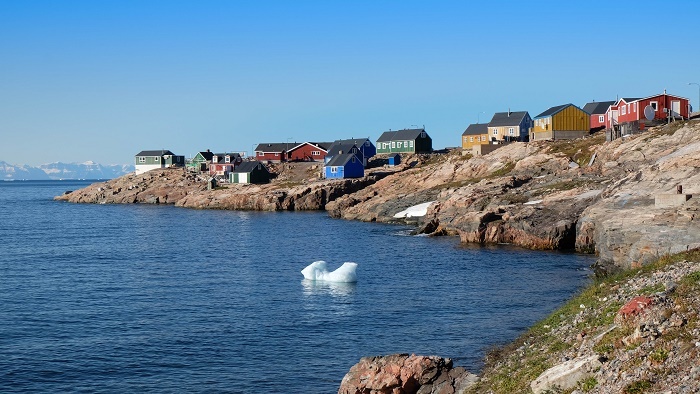 Even though it is really difficult and expensive to get here, and even more expensive for people to go around and explore the surroundings, those who are simply setting their foot in Ittoqqortoormiit is a great Arctic and Greenlandic experience.